When I purchased my last MacBook Pro a little over a year ago, I knew I needed a case that would stand up to carrying the device from home to work everyday, and moving from meeting to meeting all day, every work day. Not to mention carrying it to church each Sunday so I could use it to watch YouTube and other videos with the teens in my high school Sunday School class. 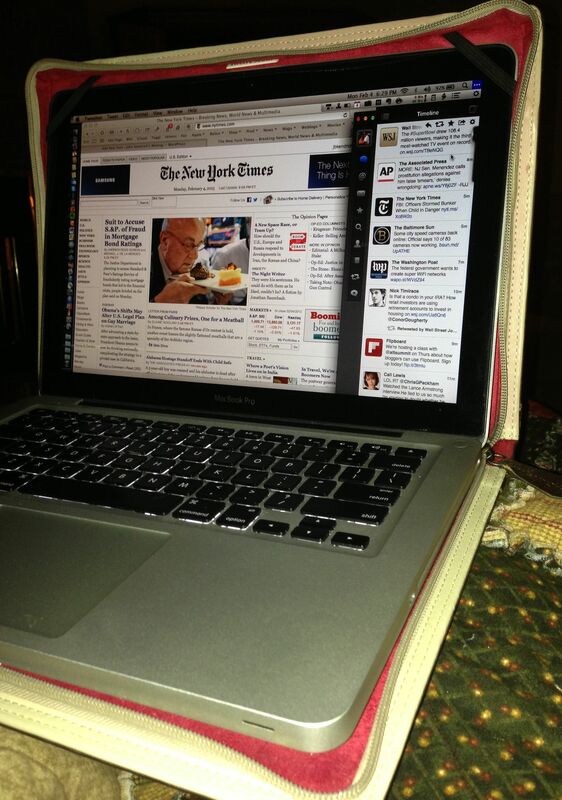 I am seldom without my MacBook no matter where I go, so it needs protection with staying power. I had been using a BookBook case from Twelve South for my iPhone for several years, primarily so I could have my iPhone and wallet in one case, so I was intrigued by the MacBook case by the same name. 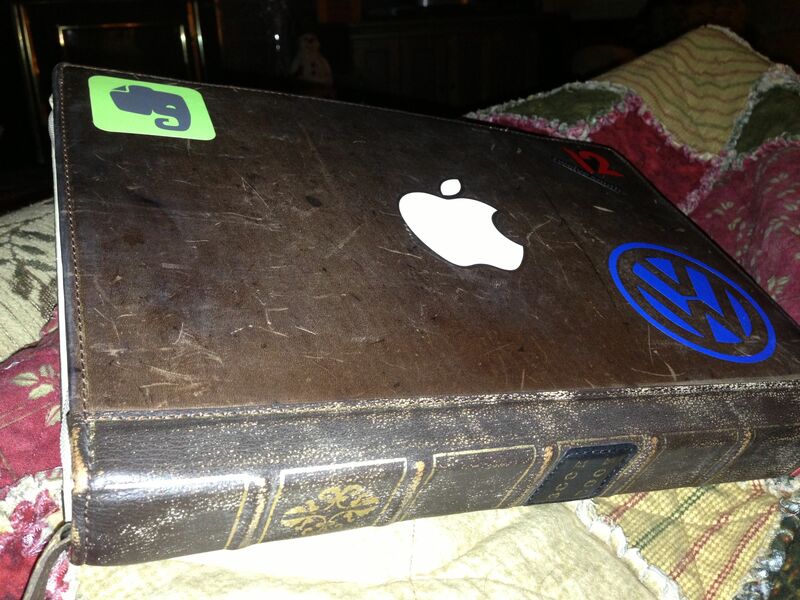 Incidently when I traded up to the iPhone 5 this fall, I purchased another BookBook for it as well. 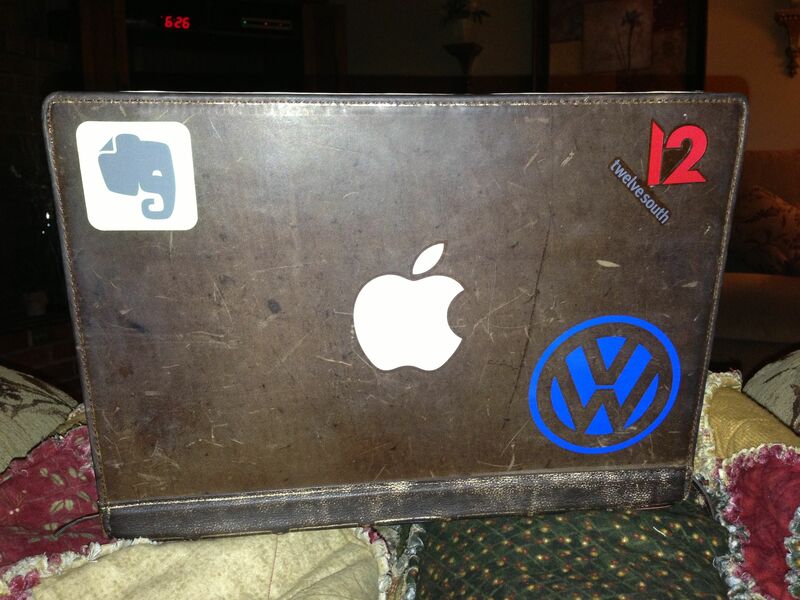 The interior of the case is padded red velvet, so I know my MacBook is safe and comfortable in its home. Using two zippers, the case quickly zips up surrounding and securing my entire MacBook, and just as quickly unzips ready for use upon reaching my destination. 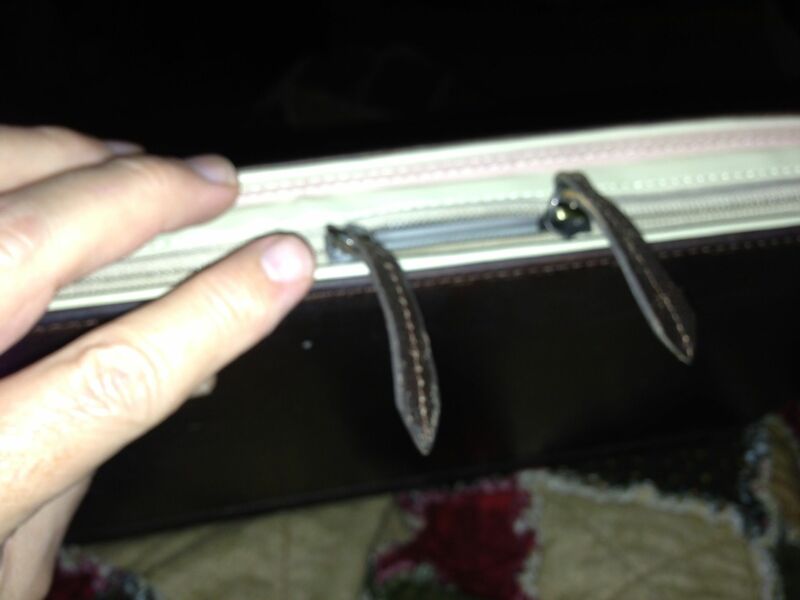 It can be carried just like a book, and the leather feels oh so good in your hands. Best of all it looks like a vintage book when closed, hiding its real contents, which of course was the intent of its designer. Lastly, and most importantly, the case has held up perfectly, the zippers are as smooth as new, and the case ages gracefully, actually looking better as it ages. As a late 50ish guy on his way quickly to his 60’s, the case has a way of making me feel younger than I am, and I get comments on the BookBook often. Word about these great cases must be spreading, because while watching the new ABC series, Zero Hour, I spied the star carrying his MacBook in the very same case.